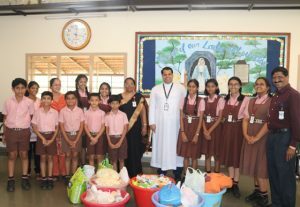 In connection with the celebration of the feast of our Lady of Lourdes a collection drive for the needy and poor was organized for 3 days at Lourdes Central School. 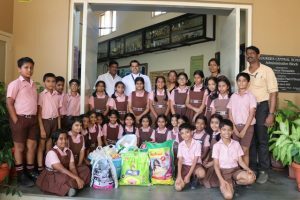 The response was truly heart touching, knowing that our students and the parent community do care and are sensitive to the needs of poor and underprivileged. 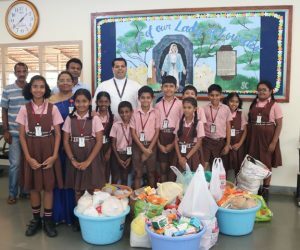 The students collected and sorted the grocery items to be distributed to five different homes for the needy and orphanage. 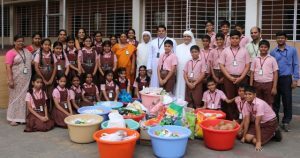 The collected items were sent to the Snehasadan Gurupura, Prashanth Nivas Jeppu, Little Sisters of Poor Mangalore, Ashraya Bejai, Mangalore and many poor individual families. The Principal greatly appreciated the students and the parents for their positive response.